Let the kids reúsen covers and do fun activities with them , adding a little color with leftover FOMi or fabric. 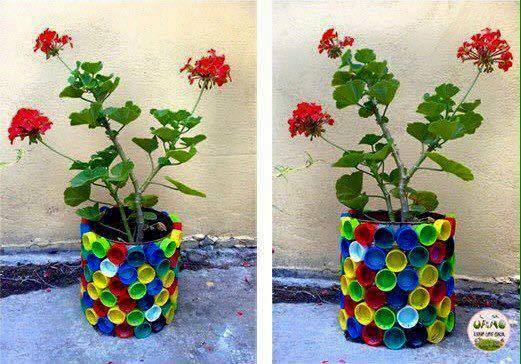 Because of its durability , plastic caps can be used for various projects abroad as garden ornaments or decorate pots. 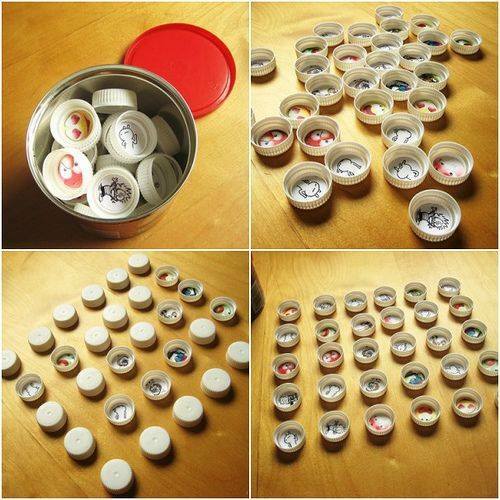 Memory game. Meets tapas that are the same color and size to make a fun memory game or memory game. Inside bumper stickers or paste in matched pairs . You can make it as big and complicated as you decide. 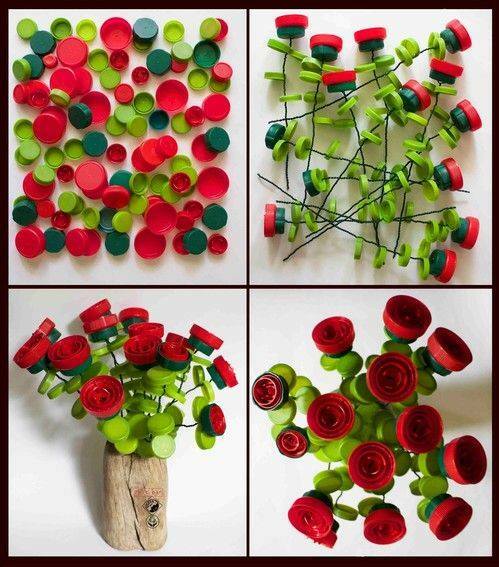 Collect different colored tops to create these original bouquets . 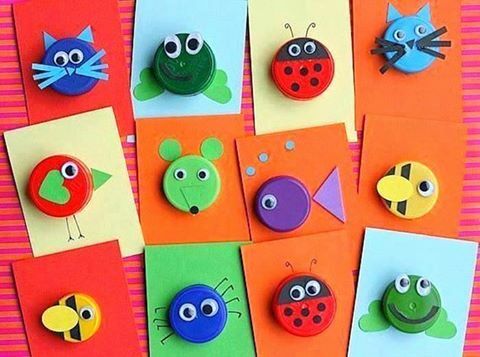 Just simply make a hole in the center and insert them into a wire or pipe cleaners.